Parque Seminario, located in downtown Guayaquil (10 de Agosto Ave & Chile Ave), is an urban park like none other that I've experienced. 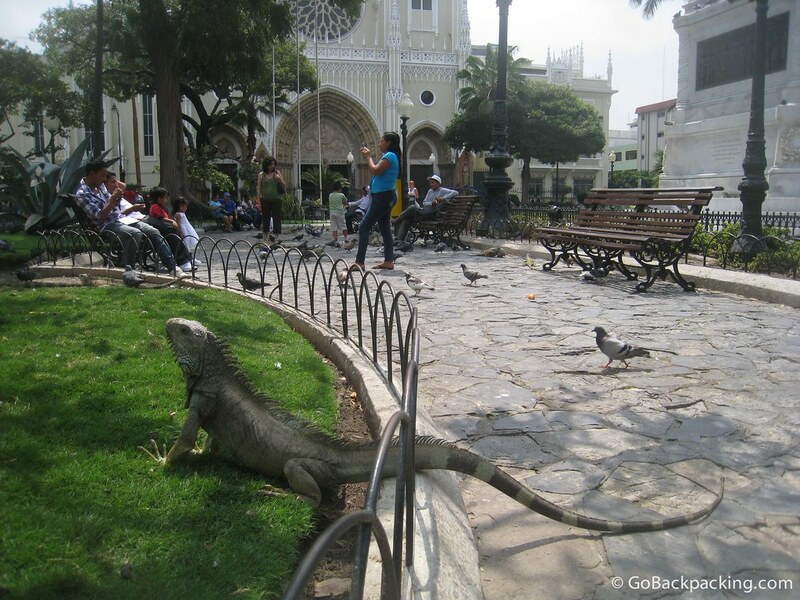 In a city with very little in the way of sightseeing opportunities, this public park featuring a plethora of land iguanas tops most visitor's “to-do” list. Yes, very real. And there were a lot of them too!